On our way to the Las Casas Filipinas on a company outing, me and my officemates swung by the Mt. Samat National Shrine. 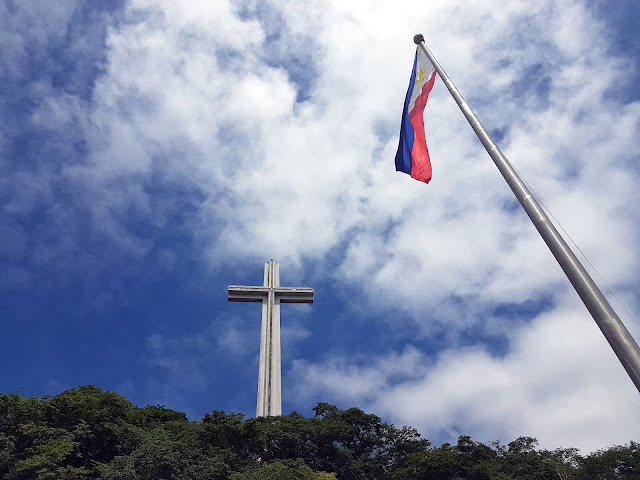 Also known as the Dambana ng Kagitingan, or Shrine of Valour, the monument was dedicated to the bravery and sacrifice done by the thousands of Filipino and American soldiers during World War II. Aside from the shrine, the soldiers were honored fowith a national holiday, every April 9th. The monument is located near the summit of Mt. Samat, a parasitic cone of the nearby Marveles volcano. They were to hold the position for six months until reinforcements arrive from the US, and the bravery of the soldiers messed up the timetable of the Japanese forces invading the Philippines. The fortress island of Corregidor fell soon after the last stand in Samat.